Mina is a Paraplanner for the AXIUS Financial team. 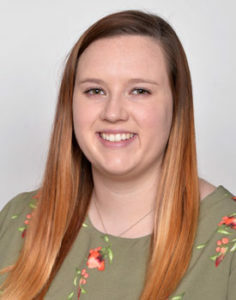 Before joining us in July 2018, she attended and graduated from Southwestern Illinois College in 2016, and from Illinois State University in 2018. One of her favorite memories to date is her participation in a service/mission trip to Ecuador with her brother. They helped to build a home for a family of seven that could not afford to rebuild their home, and they got to learn about a different culture. She also worked at State Farm as a licensed representative. In Mina’s role as a paraplanner, she helps the AXIUS team with preparing financial plans. When she isn’t developing financial plans, she spends her time outside, camping with family, going on Jeep rides with friends, and crafting! © 2014-2019 AXIUS Financial | All rights reserved.